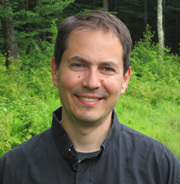 William is Professor of Philosophy and Environmental Studies at Marlboro College in Vermont. Previously he has taught in a federal prison in New York, a Tibetan refugee settlement in Nepal, and for many years as a wilderness guide at Outward Bound. Before coming to Marlboro, William taught philosophy at Colby College and at the Institute of Buddhist Dialectics, Dharamsala, India, where he taught Western philosophy to Tibetan monks and Buddhist philosophy to American college students on a Tibetan studies program. William has published widely in Indian and Tibetan Buddhist philosophy, environmental philosophy, and 20th-century European philosophy. He is co-director of the International Association of Environmental Philosophy and co-editor of the journal Environmental Philosophy. William is also co-editor of Buddhist Philosophy: Essential Readings (Oxford University Press, 2009), the Oxford Handbook of World Philosophy (Oxford University Press, 2011), and Facing Nature: Levinas and Environmental Thought.